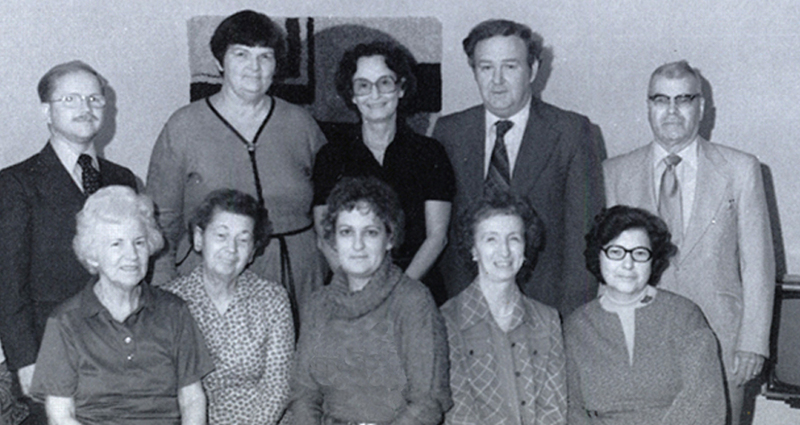 1979 - The Missouri State Genealogical Association was founded and offered Charter Memberships at $10. Within a year 437 had joined. 2004 - The 25th Anniversary of MoSGA's founding was celebrated at the Annual Conference in Columbia. Several founding members attended. Mary H. Ray donated copies and reproduction rights of five books she authored on Worth County, Missouri. Founding MoSGA board member, Betty Harvey Williams, passed away June 13, 2015. A gifted researcher, author and mentor, Betty served as MoSGA president in 1984-1986 and was a Life Member. Throughout the 1960s & 70s, Betty and her sister-in-law, Jacqueline Hogan Williams, traveled throughout Missouri transcribing court records that they then published and sold privately. In 1982 Betty offered MoSGA her inventory of 47 book titles to sell. This agreement gave MoSGA a continuing source of income throughout the 1980s and 1990s. In 2002 Betty published Soldiers of the War of 1812 with a Missouri Connection a work she spent many years researching and documenting.